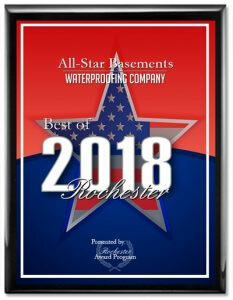 All-Star Basements and Radon Systems provides Radon Testing and Mitigation Services to evaluate, identify, and resolve potential radon issues at your property. We are nationally certified to conduct radon testing and mitigation to ensure the safety of individuals within their homes with respect to radon exposure. 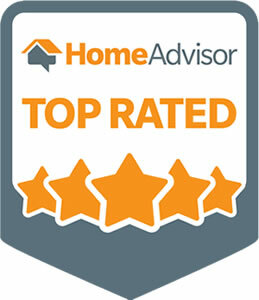 Our All-Star team is certified through the National Radon Proficiency Program (NRPP) and will work with you to design the best system for your home at the best price! 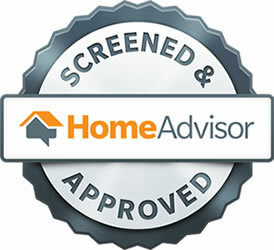 do what millions of Americans have already done…have your home tested! 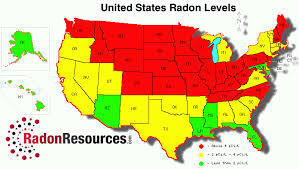 Since radon is produced from soil, it is present nearly everywhere. Because soil is porous, radon gas is able to move up through the dirt and rocks and into the air we breathe. If allowed to accumulate, radon becomes a health concern. Two components that affect how much radon will accumulate in a home are pathways and air pressure. These components will differ from home to home. Can’t I just seal my sump pump and floor cracks to keep radon out? If it were only that easy! Radon will travel right through a concrete floor. Your house is always forcing air into itself through the amount of pressure it exerts on the ground, barometric pressure, temperature differences and convective airflow. Is re-sealing my ground water sump pit really necessary after servicing or replacement? Yes. 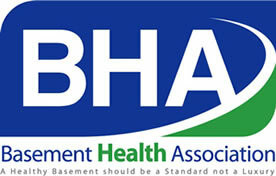 The effectiveness of the radon system will be compromised if the sump pit cover is not properly re-sealed. Can I re-seal my ground water sump pit myself? Yes. Make sure all penetrations through the sump cover are re-sealed. Note: make sure any electrical cords do not interfere with the operation of the sump pump and that float switches are able to move freely. What kind of caulk do you use to seal cracks and the sump pit cover? Using silicone caulk sealant is the best. It has the best elasticity and remains flexible longer than polyurethane caulk sealant. Contractors using latex caulk (cheapest caulk) are not providing the best longevity for reproducible radon reduction. How should I maintain my sump pump? Proper maintenance of the sump will save you money. We have noticed that many home owners do not service their sump pump as the manufacturer recommends. The average sump pump life expectancy is four years. We recommend that you service your sump prior to the start of our work. Following the manufacturer guidelines in servicing the sump pump will prevent extra expense caused by water damage. According to many manufacturers, the most common failure is the float switch. This failure will prevent the system from turning on or off. Other common failures are the following: debris in the sump pit, check valves, power outage, and improper installation of the sump pump. During the winter and during the spring thaw, a common problem is when the sump pump discharge is blocked with ice. IMPORTANT: Unplug sump when coming in contact with water inside the pit. Plug-in sump when maintenance is complete. What is the U-tube (manometer, vacuum gauge) for? The U-tube manometer, or vacuum gauge, primarily indicates the vacuum pressure inside the radon system. This will let you know if the radon fan is working or not. If the tops of the red or blue liquid are equal, the fan may not be working or may have been turned off. The U-tube can also indicate if your ground water sump is working properly. 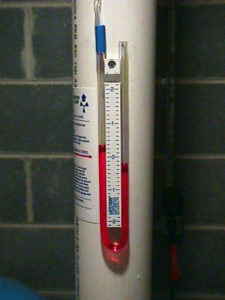 If there are elevated levels of ground water under the concrete floor, the U-tube would indicate a raise in the vacuum (greater difference in the two levels red or blue liquid). It would then be a good idea to check to see if your ground water sump pump is working. Does the U-tube on the system indicate the radon levels? No, the U-tube on the radon system does not indicate radon levels. 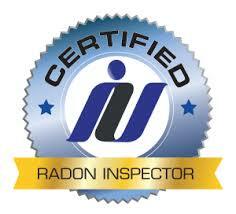 Only a radon test can indicate the levels of radon. The U-tube is only designed to indicate that the system is actually on and at what pressure. The house should be tested at least every two years. 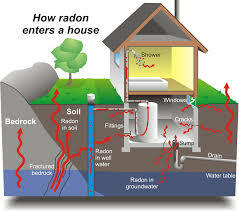 How do I know that my radon system is working? 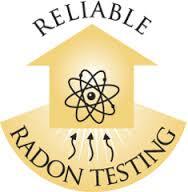 The only way is to conduct a radon test. The test should be done at least every two years. We recommend that you get a device that would monitor your house constantly and then also perform a test every two years to confirm the accuracy of the daily monitor. Also check your U-tube (vacuum gauge) periodically to ensure that the fan is working properly. My U-tube is equal, what does this mean? My liquid in the U-tube is not as originally marked, what does this mean? 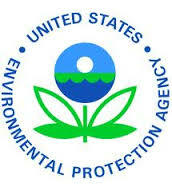 Why do I need a suction point in a concrete or gravel crawl space if that area’s levels were below the EPA action level and the basement tested above the EPA’s action level? Radon can enter the home through any part of the home that touches the ground. If it is reasonable to install suction point in that area (without damaging finished walls), then it must be installed. The point is that the crawl space is still contributing to the levels of radon in the home. If the major source of radon was coming from the crawl space but the radon levels were low upstairs above the crawl, the basement would still be elevated if a radon system was installed without a suction point in the crawl space. Why do you recommend suction points under slab-on-grade areas (garage slabs, upper slab and concrete porch)? Radon gas does enter into the building envelope from under any slab-on-grade area through the foundation wall into the home. 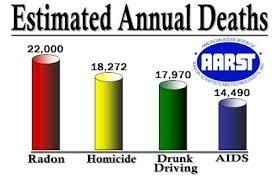 We have encountered many homes where the garage or any adjacent slab was keeping the radon levels elevated. Our own research has shown that to ensure the greatest amount of lung cancer protection, the radon system should collect from all of the sources of radon. During the heating season the house temperature differentials between the interior and the exterior are greater, causing a greater negative pressure in the building envelope. The radon gas is always under the garage slab but the driving force may not be strong enough depending on the time of the year. Sources of radon gas and radon entry routes will always change. The ground is always moving and changing causing different routes in the soil to open and close. Also, as ground water moves uranium, eventually the source and the strengths of the levels of radon will change. Areas of homes where there are constant or stronger winds, typically in new sub divisions and open land, may have a higher occurrence of radon entering the home from upper slabs. Why would a home require two suction points in the basement floor instead of one? It all has to do with the aggregate under the cement slab. A radon mitigation system will collect the radon efficiently when there is 4” to 6” of at least pea size gravel under the basement slab. A system will not work as efficiently when there is less than 4” or more than 6” of gravel. If this is the case and the radon system is not moving the required airflow, the life of the radon fan will decrease. Every inline fan has a required maximum operating pressure. If a radon system exceeds it, the inline fan will fail and the operating cost of ownership will increase. The second suction point in the basement floor will help alleviate the pressure put on the fan, get the radon levels as low as possible, will allow the fan to last longer, and will save you money. Can the exhaust pipe be disguised by using downspout instead of PVC? It is a much thinner material than PVC, therefore noticeably louder and much more susceptible to ‘freeze-up’ (becoming blocked with frost) in the winter. PVC is permanently glued at each connection. Downspout connections are not airtight, therefore requiring the installer to seal each connection with sealant. Often times however, the installer fails to apply sealant at each connection as the photos below illustrate. This can result in radon re-entraining into the home and moist, contaminated air damaging the siding. If downspout is used, the sealant at each connection must be maintained over the life of the system. PVC is the best and most permanent choice for the exhaust. It is quieter and safer than downspout. It can be painted to match the building. Keep in mind, no matter what the material, it still has to be at least a minimum of 12” above the roof line – the most common aesthetic complaint. Why is the exhaust point on my radon system so high? The exhaust point is selected by adhering to State rules, and taking into account the layout of your basement and architecture of your home. Minimum requirements include being 10’ off the ground, 2’ above any opening into the home or 10’ away from such opening, 12” above the highest possible eave and 10’ from an opening into any adjacent building. I hear a gurgling noise in the radon system. What does this mean? There is a whistling noise coming from the radon system what does this mean? This could mean that the caulking has failed along the suction point, wall/floor joints or floor cracks. What if there is a finished basement and there is an open drain tile system behind finished walls? Can a successful radon mitigation system be installed? Yes. There are many strategies we can follow. The best answer would be to locate the suction point farther away from the drain tile system as long as there is 4” to 6” of gravel under the basement floor. If there is not an adequate amount of air space provided by the gravel, a higher suction inline fan could be installed and we could also locate the suction point farther away from the drain tile. 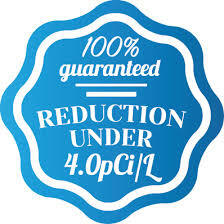 The Limited Lifetime Warranty guarantees that the radon levels in your home will remain below 4.0 pCi/l for the lifetime of the system. The “limited” part of the warranty is for the inline axial fan, which is the only part of the system that is manufactured by another company. The fan comes with a 5-year manufacturer’s warranty. If the fan breaks down within the warranty period, we will replace that part for free. However, there is typically a fee for the labor, as the manufacturer does not reimburse us for that. The new fan will have a new 5-year manufacturer’s warranty and our lifetime warranty will remain in effect. If your radon fan breaks down after the 5-year manufacturer’s warranty period, we will have to charge you for the new fan and for labor. However, your new fan will have a new 5-year manufacturer’s warranty and our lifetime warranty will remain in effect.